Welcome to Bankstown. Please look the other way. Very rarely does an opportunity like this ever come around. 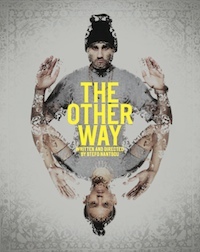 To be part of a performance like The Other Way, co-produced by BYDS (Bankstown Youth Development Service) and Sydney Theatre Company, is not only a pleasure but a responsibility. For a few nights in July it was our duty to tell the untold stories of Western Sydney. We could only tell a few, like the story of the lost Indian boys at Centro or the long-awaited return of a runaway daughter or the drug-addicted mother who had her children tragically removed by Community Services. Every night, I would hear comments like "I know a guy who talks like that character" or "There's a lady down my street with the exact same problem" or simply that the performance was "believable". It seems we achieved what we set out to do: to tell the true stories of Bankstown. The Director Stefo Nantsou is, in my opinion, a theatrical genius with an endless passion for storytelling. Stefo taught us that theatre is about moments. It's true. After a show, people don't remember the exact lines that they liked but the moments. Even though I've seen the show a hundred times, there are still moments where I can't stop laughing or crying. It was an emotional rollercoaster that didn't slow down until the moment the audience left the building for the final time. The project is finished, so where to now? Last year, after Look the Other Way, the only thing everyone wanted was to perform again. This led to the production of Outspokenat Bankstown Arts Centre, which was directed by Randa Sayed and involved several students who were part of Look the Other Way. Outspokenwas completely written and performed by the students and was about the things we are unable to say. Without the valuable experience we gained in Look the Other Wayit wouldn't have been possible to create it. Fast forward a year and once again we're in a similar situation. Taking part in such a big production has given us serious motivation to keep writing and performing plays. I know a few of my colleagues are now taking acting seriously as a profession - looking into auditions and agencies. There is also talk of creating an after-school drama club or a theatre company. What I know for sure is that this won't be the last time there will be a production like this. I know that the younger drama classes in my school have been inspired and are very keen to take part in future. What's critically important is that these types of projects continue in the future so that others get to experience the same opportunities and benefit from them as I have. Bankstown needs programs and opportunities like Look the Other Wayand The Other Way. There's a brand new art centre built, so why not use it? Creating productions is an extremely rewarding experience for everyone involved and leaves a lasting effect on the community. I genuinely hope community projects like The Other Waycontinue and pass on the pleasure and responsibility of performing. Read more from Filip on his blog. Find out more about STC's Theatre in Communities.